Last week, Brush Dance (how I make money to fund my pen/ink/paper addictions) announced the release of eleven beautiful new Dreamer Journals. 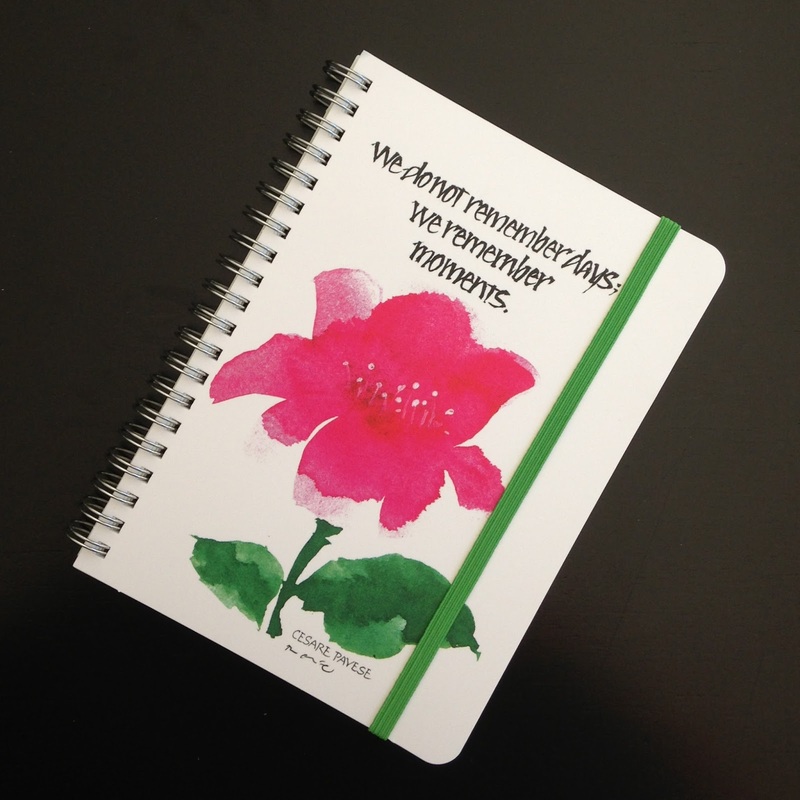 While we're calling them Journals, they can also be used as a handy everyday notebook. 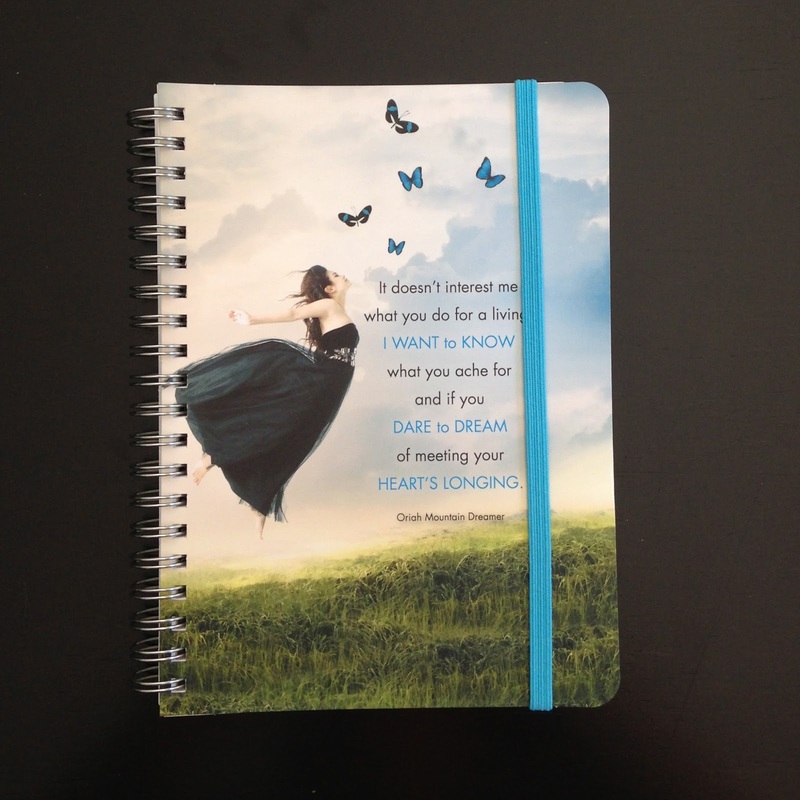 I am thrilled to have a bunch of these to hand out as prezzies - keep reading to see how you can get in on the action. Full disclosure . . . Brush Dance supplied the Journals for this giveaway, I had a hand in the design, I am biased, but really - they are pretty incredible and I know you're going to love love love them. Dreamer Journals from Brush Dance combine eye-catching modern designs with incredible functionality. 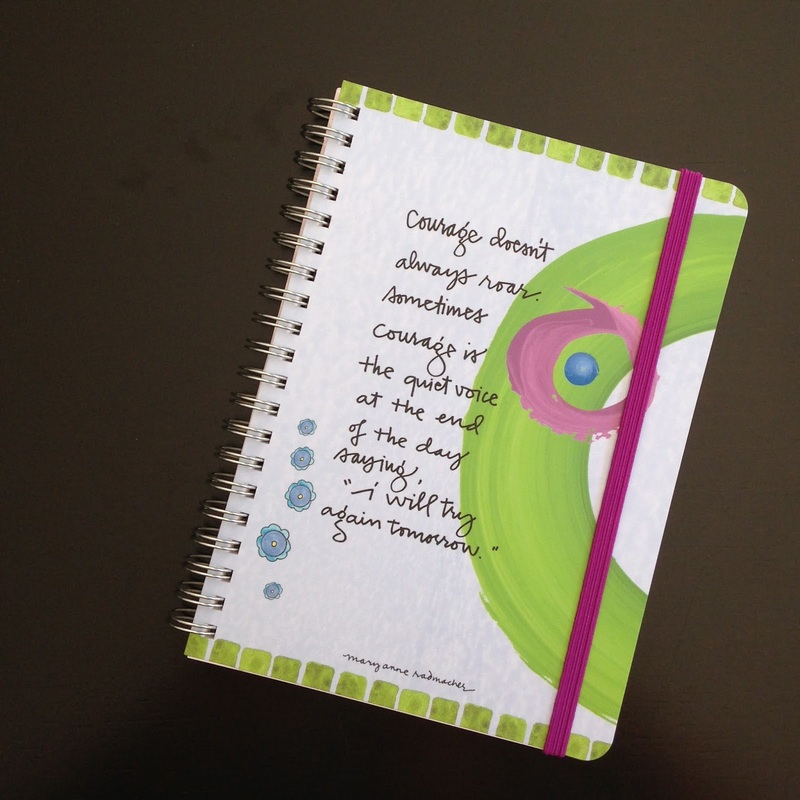 Use as an everyday Journal or as a perfectly-sized notebook that will fit easily in most handbags. Seriously, the only way you're going to be disappointed is if you don't win one of these pretties. Even then, you can go to the Brush Dance website and get one of your own for just under $12 - even less if you hurry because they are on sale as of this writing. Here are some detailed pictures of some of the covers. The interior pages are lined in a color that coordinates with the rest of the book - no basic black here. I have up to ten of these great books to give away. For every ten people who leave a comment here, I will give away one Journal, but the maximum number of Journals I have is ten. In other words - if 50 people leave messages, I'll send Journals to five lucky people. If 10,000 people leave comments (yikes! ), I will send Journals to ten lucky people. Makes sense, yes? Winners will be chosen randomly, of course. Because my blog is a tiny hobby and I'm convinced that only Mr. Pentulant reads it - I'll leave the comments and contest open until Tuesday, August 31. Please only enter once - and, Mr. P., you are not eligible to win. Leave a comment - be entered to win! Yippy! What a beautiful set of journals. Unfortunately, I can't order from Brush Dance - I live in the West Indies - they don't accept orders from people without a US credit card. BOMBER! So that's why I am here, trying my luch or good fortune. Nice little blog you have here...and its weirdly cool that you have an obsession with pens,ink and paper. (Weird in the best use of the word)The little notebooks look fantastic. As they would say in my country, the beautiful island of Jamaica: "Dem SHELL!"... Its always good to blog and write down how you feel. 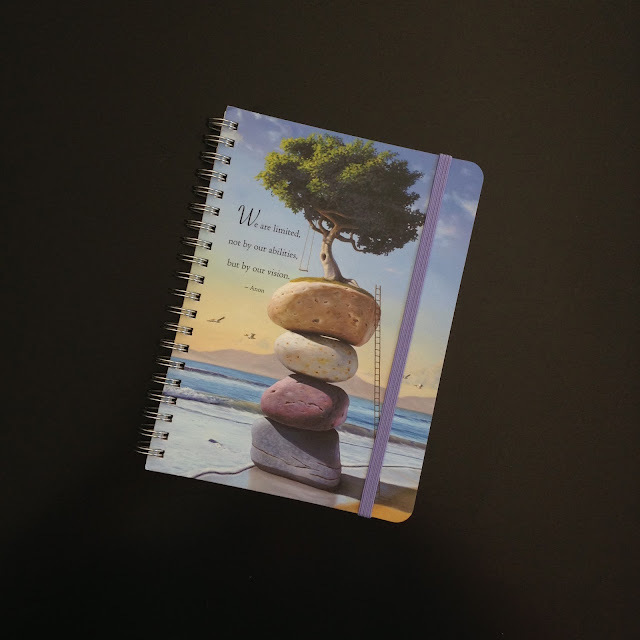 This little creatively designed note book can be your own little world, whether you write about your day, poetry, stories or just your shopping list. I really hope you pick me to win one of those beautiful notebooks. Oh how I love journals! (and the feel of paper on the skin of my hands, and just the right pen to glide effortlessly over the paper!) Guess I'm a little crazy for these things, too! 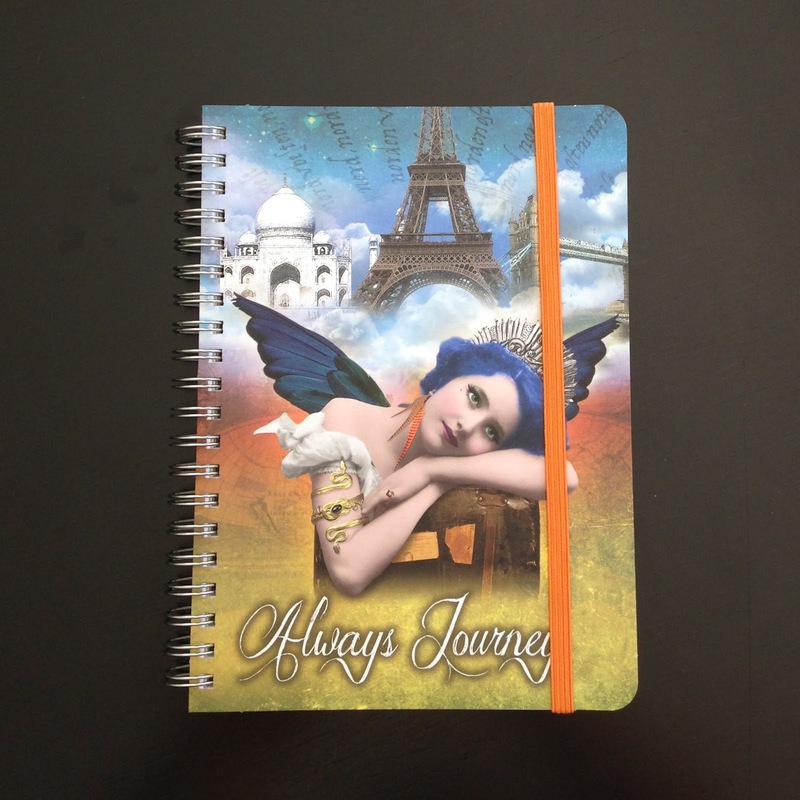 Thanks for the chance of winning one of these gorgeous journals! My wife would just love one of these! The journals look like great gifts, interesting design ideas. What about a few more masculine designs for the male journalers out here, that doesn't mean sports by the way. My fountain pens enjoy a good journal with pen friendly paper. 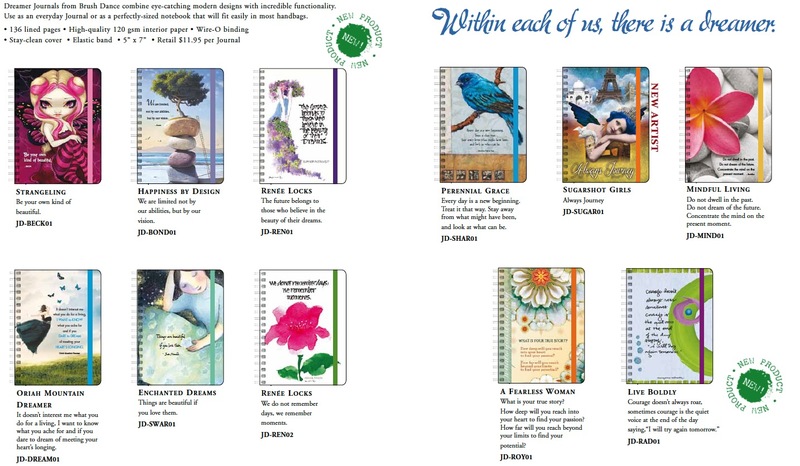 Beautiful journals and great additions to your excellent product line. Thank you for always offering just the right inspiration. Your work is awe-inspiring. I have bought the cards for years. In fact, I was just going through things that had been in storage and found BD cards I had saved. Winning a journal would be wonderful...they are almost an addiction with me...but no matter what, keep up the heartfelt, meaningful, fabulous work you do that touches so many of us so deeply. Blessings. Every year I order the desk calender for two of my best friends as Christmas Gifts, and of course I give myself one too for Christmas. I just love them and at the end of the year, I just cannot bring myself to trash it, it is just so beautiful, so I now have a stack of used calenders, but they are very ornamental on my desk. I love the Journal with the bluebird, but all of them are simply lovely. Thanks for doing this. I hope I win one. I love love love journals! Its the first section i look at when i go to a bookstore. I have many from over the years but these are awesome. I have had a couple bound Brush Dance calendars and I love the vivid colors and inspiring quotes. I would love to add a journal to my collection. Courage or Heart's Longing ones would be good for me. Thanks for sharing! Wonderful to see journals that are fountain pen friendly! Thank you for sharing these beautiful designs. These are really beautiful. I'm always a sucker for notebooks and journals. These sound as if they would be a nice size for writing poetry in (or, if they're unlined pages) for doing sketches. I love stocking up on these journals and throwing them in with christmas gifts, birthday gifts, or just because gifts! I have found that no matter what, they are ALWAYS appreciated! Thanks for the opportunity! 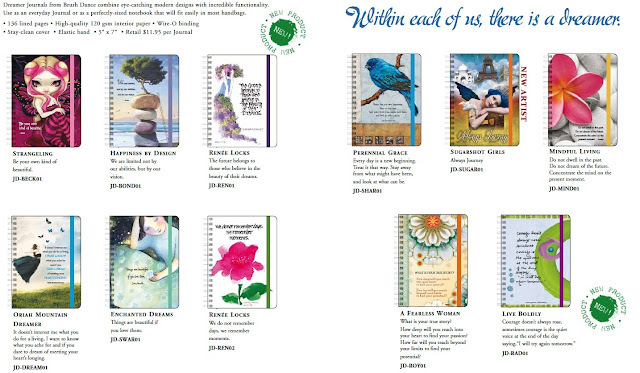 I love using the Brush Dance calendars, and would love to try one of these beautiful journals. Been looking for the perfect notebook for a new job and these look promising. what a nice break from the usual black journal. and such wonderful covers. Ü thank you for rhe chance to win. i hope id get some of these. one of these would be perfect to create a blend recipe journal for my essential oil healing practice. they are beautiful! These are beautiful and I would love to win one. I just found your blog via a Facebook post by Azizah at Gourmet Pens and I am adding you to my Feedly Reader! Wow, thanks for the giveaway! Those are lovely journals! I love the look of these - how are they for fountain pen ink? Please enter me to win one. Really love the one with the plumeria on front. And happy to have found your blog! I love, love, love the Mary Anne Radmacher quotes!!! She has been a favorite of mine for over 25 years!!! I really appreciate a journal that size as it is easy for on the go, easy to turn over and with the elastic it will stay shut while in my big'ole bag. Please enter me in the drawing. Thanks for this give away! I would love to try one of these journals! I can't see the giveaway is USA only so here goes. Nice colourful looking cover and the 120 gsm interior paper sounds like a real bonus.